This October we were asked to create nine pumpkins to be delivered to a Halloween party at Goodwood in West Sussex, UK. 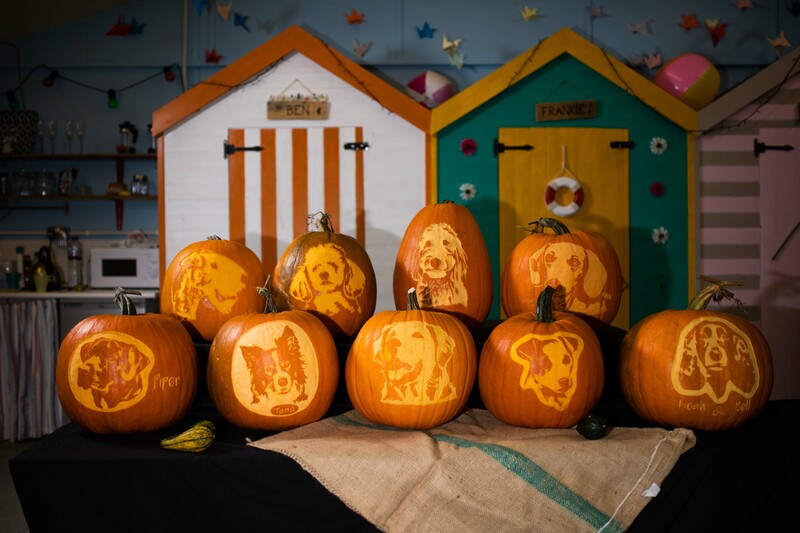 The professionally carved pumpkins were to be inspired by stenciled faces of nine dog breeds owned by some of the guests. 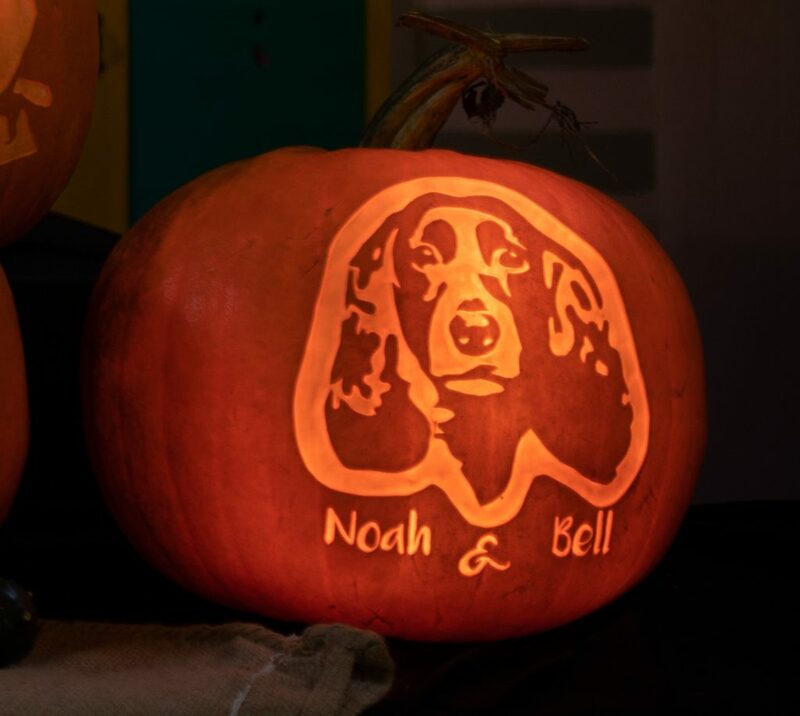 The Halloween pumpkins were carved in the Sand In Your Eye studio in Yorkshire over three days and were sent over by courier to the Goodwood Estate in plenty of time for the event where they were displayed in all their glowing glory. These very beautiful, personalised dog portraits included a black Labrador, Cocker Spaniel, Toy Poodle, Australian Shepherd, Golden Doodle, Golden Retriever, Jack Russell, Lakeland Terrier and a Teckel – a breed of wire haired Dachshund. 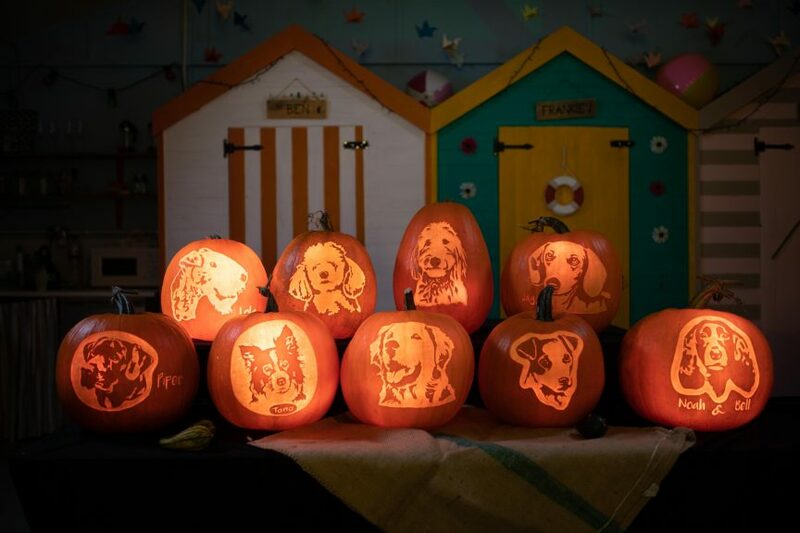 Our talented professional pumpkin carvers used hand lettering to add the names of some of the dogs. 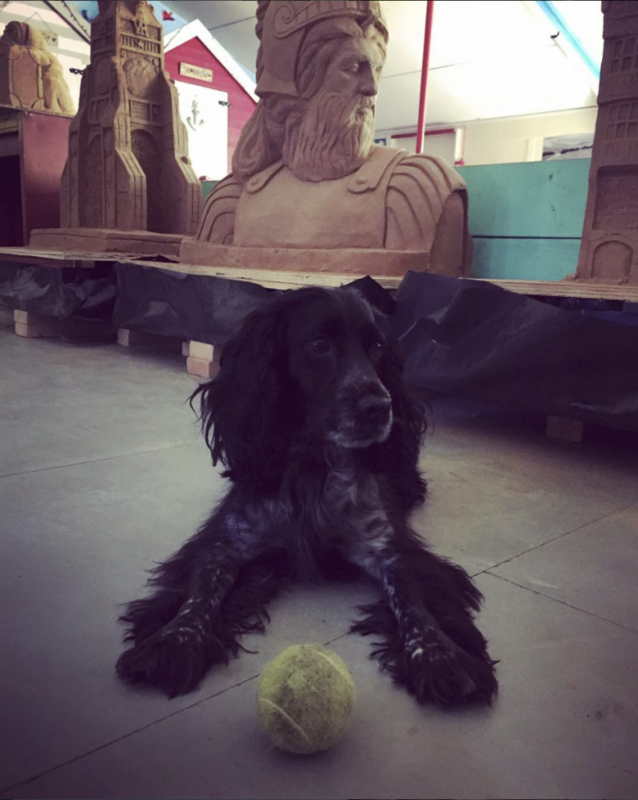 You may recognise our very own office dog Ellie as the inspiration for the Cocker Spaniel!